Ivorian giants Asec Mimosa are interested in signing Karela United right back Isaac Kwain after the player spent a week with the club in Abidjan. Asec Mimosa are seeking to improve their squad for the CAF Champions League group stages after suffering a disappointing defeat last weekend to Mamelodi Sundowns in South Africa. Kwain, who is also on the radar of Asante Kotoko was at the Ivorian side's training complex at Sol Beni and it is understood that negotiations has began for the strong wing back. 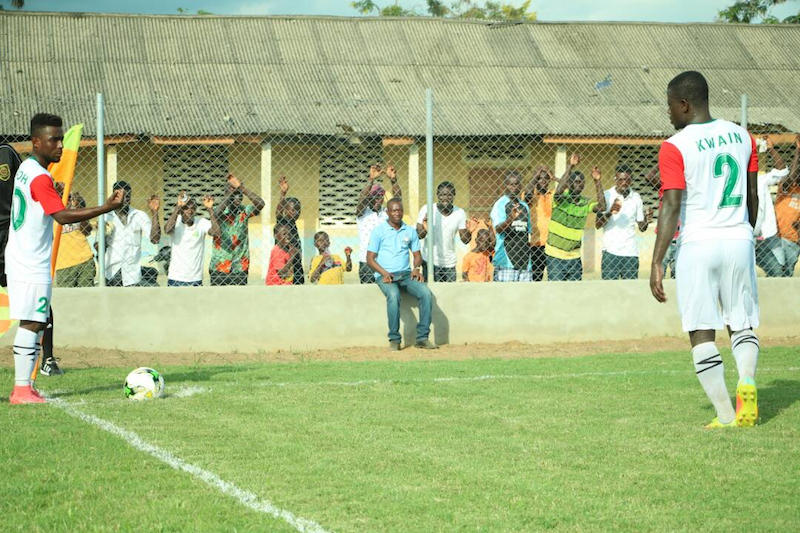 The 24-old former Ebusua Dwarfs defender is known for his marauding runs and powerful freekicks. The defender's move is now subjected to an agreement from Karela United. Isaac Kwain could be joining former Bechem United and Asante Kotoko forward Ahmed Toure.